Since our very first anniversary, I have gone by the traditional gift list for inspiration on what to give my hubby each year. The first year it was paper, the second was cotton, the third, leather, and the fourth was flowers. This Friday will be our fifth anniversary, and the traditional gift for year five is wood. Why did he unwrap it yesterday, you ask? 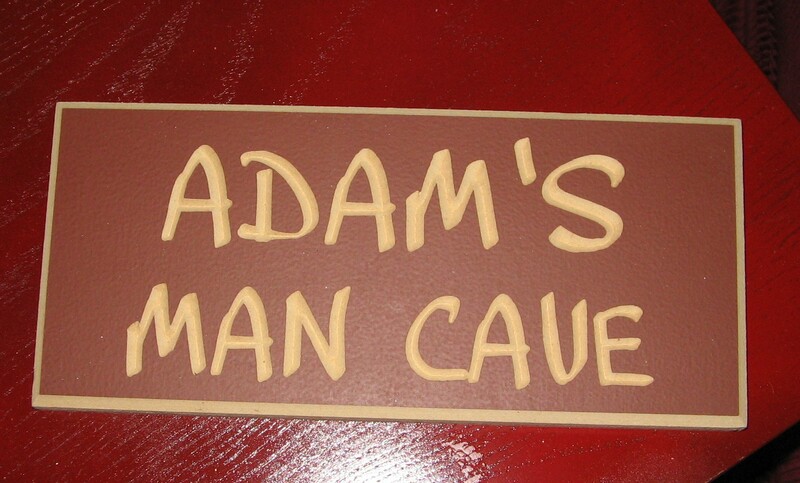 Well, this sign is intended to go with his brand new man cave that I have been working on. I got it finished yesterday, and decided that I couldn’t wait until Friday to show it to him. Check out that exposed fuse box. That’s got to be some kind of fire hazard, right? 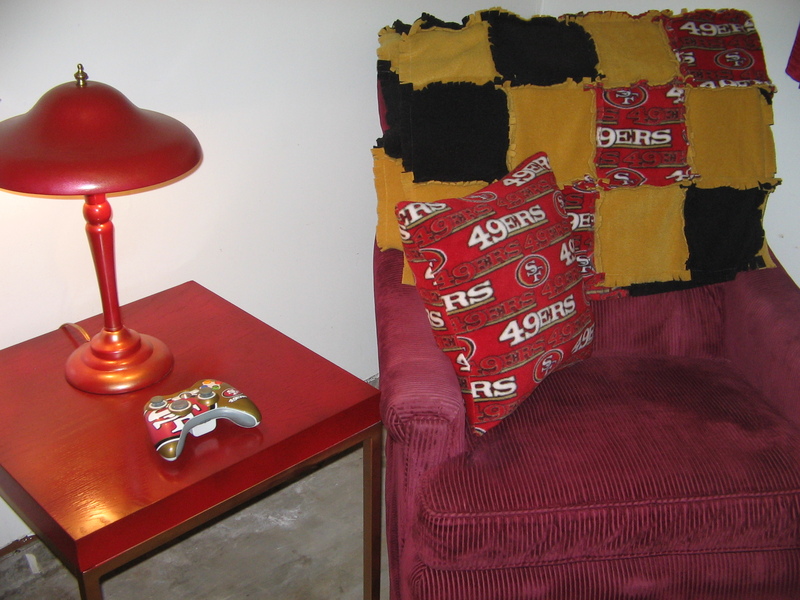 Can you tell he’s a 49ers fan? 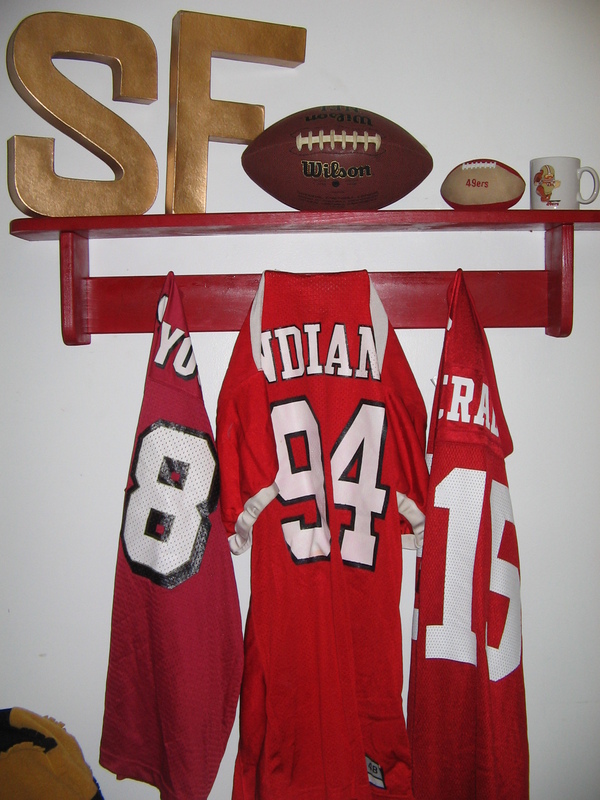 This shelf was perfect for hanging some of his jerseys. 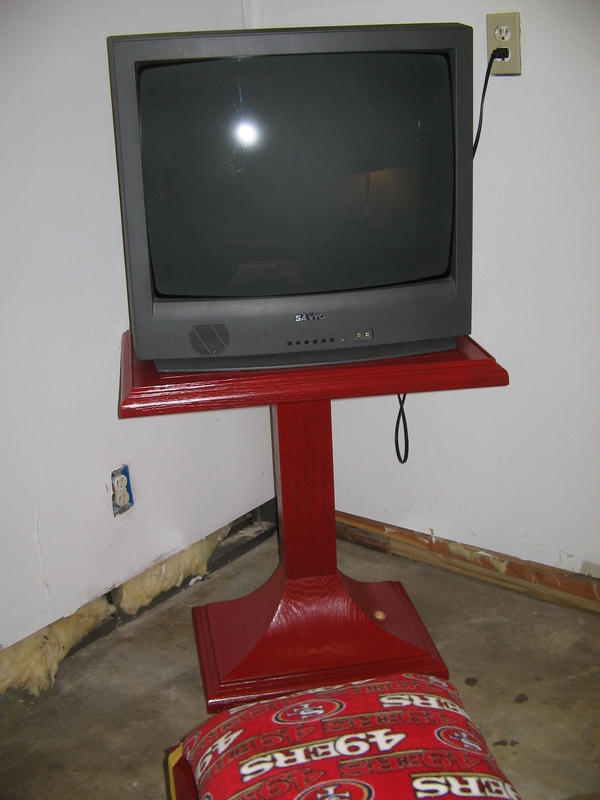 What Man Cave would be complete without a TV? 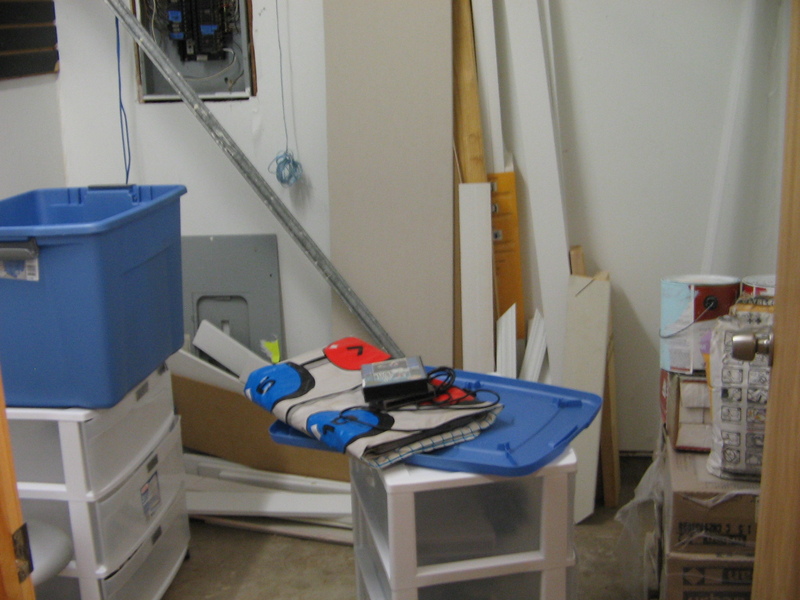 As you can see by that last picture, this “unfinished” room comes without baseboards. 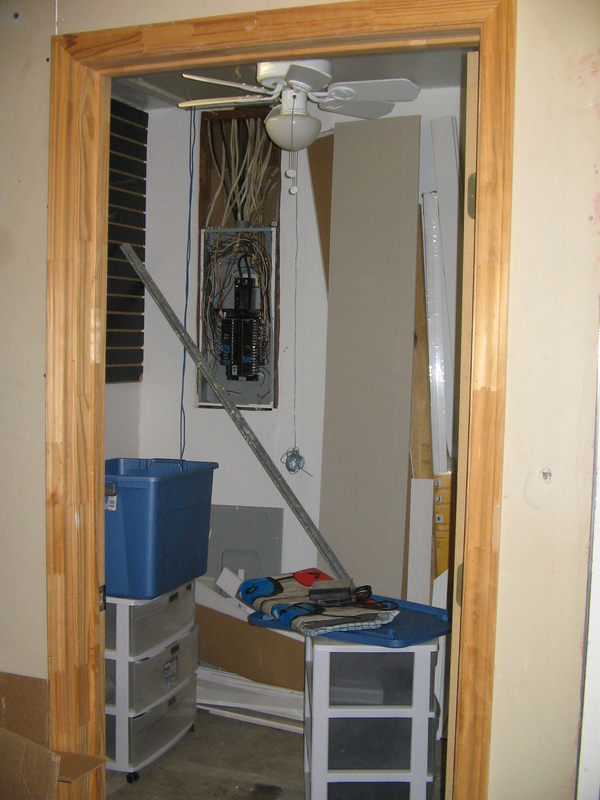 We are renting right now, so I did not do anything with the structure of the room… well, except closing up that fuse box. Don’t worry, there is now a metal box covering all of that wiring behind the flag. The best part is, a good portion of the items in this room are things we already had, so that really helped to cut down on cost. It’s amazing what a few cans of spray paint can do. I’ll get into a little more details on some specifics in my next few posts, including a “How To” on that super simple stool cushion, so stay tuned! 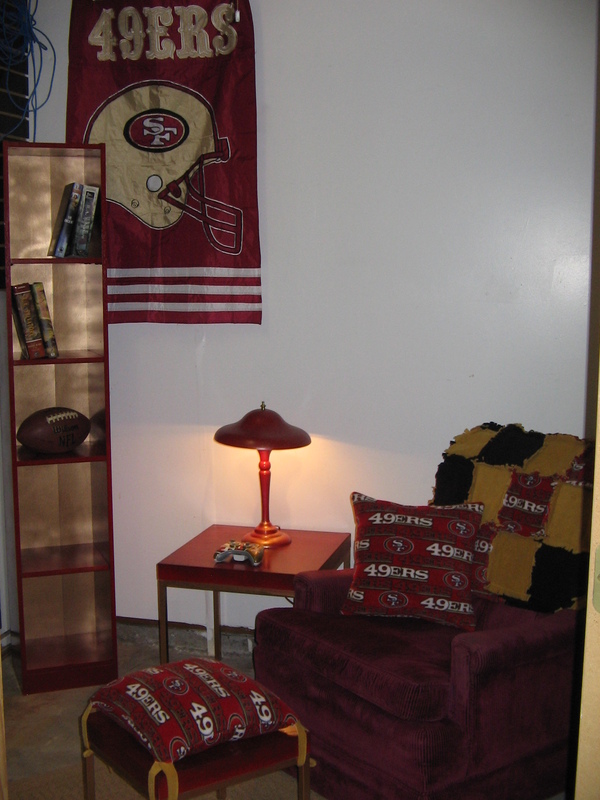 5 Responses to "A Man Cave Makeover"
Great job! So glad you posted pictures! You are a amazing wife! He must be so blessed! He’s an amazing husband, what can I say? It was nice to be able to give him a space that is all his own. Awesome job! Your honey has got to be ecstatic! He’s pretty excited. He’s having someone come to see about running the internet into that room on Saturday.